What does Wall Street have against Twitter? 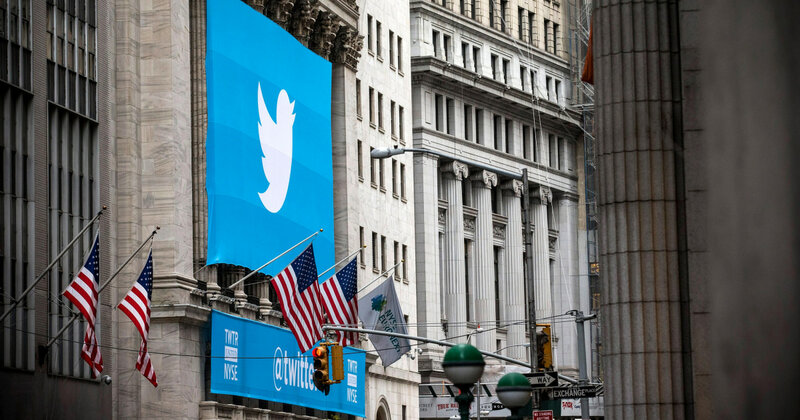 Twitter can’t seem to catch a break on Wall Street. While Facebook grapples with multiple scandals, it has continued to grow and investors’ confidence has been reflected in the stock price. By contrast, when Twitter on Thursday reported its first full year of profitability since going public in 2013, shares plunged by 10 percent. Twitter announced that it beat revenue expectations for the last quarter, reporting $909 million, well above the expected $868.1 million, according to a Refinitiv survey of analysts. Then there was the bad news. Twitter plans to spend more money this year, and the site is shedding millions of users. Twitter reported 321 million monthly active users, down 9 million from last year. While it’s a safe bet that Twitter lost some fed-up users, the decrease could also be attributed to Twitter’s ongoing purge of bots and fake companies. Either way, Twitter plans to stop sharing that metric in future reports and will instead focus on “monetizable daily active users,” the people who are seeing advertisements, which is how Twitter makes money. “Companies like Twitter are valued based on growth, and with the lack of expected growth investors just don’t see it as attractive as, let’s say, a Facebook — which is continually growing,” said Patrick Moorhead, principal analyst at Moor Insights & Strategy. Twitter reported 126 million people use the platform every day. That’s up from 115 million one year ago. While trending in the right direction, the number is a fraction of the 1.26 billion users who still use Facebook, despite ongoing scandals, every day. While Twitter has faced some of the same problems as Facebook and Google when it comes to having their platform weaponized for the spread of misinformation, it’s also not a first choice place to advertise, said Ivan Feinseth, chief investment officer at Tigress Financial Partners. Colin Sebastian, senior research analyst at Barid, said the guidance shows that 2019 is shaping up to be an “investment year” for Twitter, as the company seeks to grow its daily active user base and to work on more tools to curb abuse on the platform.